WPFG.TV CH. 9 - The 2015 World Police & Fire Games are coming to Fairfax County, VA. 15,000+ participants in 70 olympic style events. 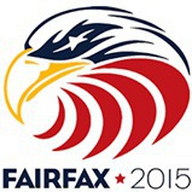 See http://fairfax2015.com for info.